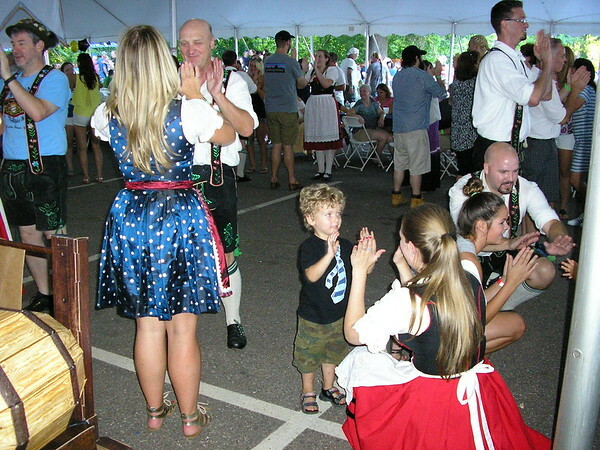 NEWINGTON - Mark your calendars and iron your lederhosen: A German celebration that happens only once every two years is two weeks away. 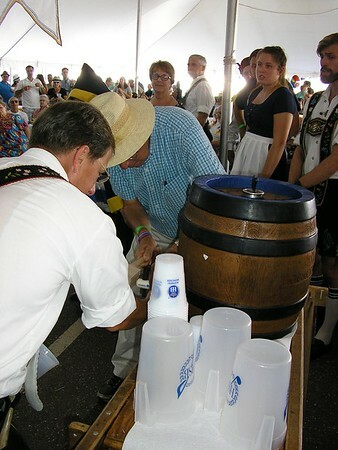 The Hartford Sangerbünd’s biennial Bierfest is set for Friday, Aug. 24 through Sunday, Aug, 26 at the clubhouse at 719 North Mountain Road. Club members are known for harnessing food, beer and entertainment straight from Germany for the occasion. They expect to draw several thousand people. Many will have no German heritage, but that’s just fine with the Sangerbünd. 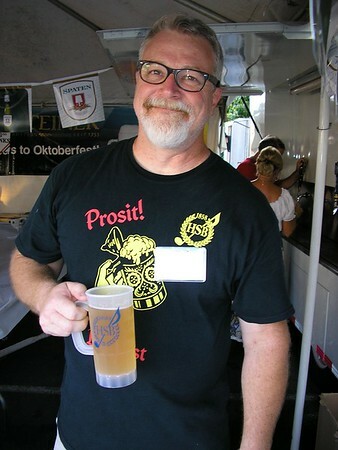 In fact, Bierfest Co-chairman Lance Frazon is French and Irish, but his wife Linda is the daughter of one of the club’s founders. The couple’s daughters Jenny and Shaylynn are helping to carry on the family’s German ancestry by helping out at the club. Both will be among at least 230 volunteers at the upcoming three-day celebration. 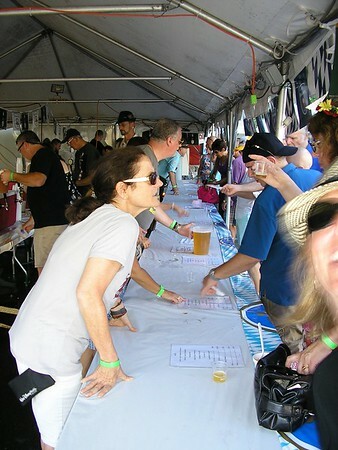 The club has built strong relationships with beverage and food vendors over the last few decades, so there is no chance they will run out of the good stuff. This year’s lineup will feature Spaten Lager, Optimator and Oktoberfest, Hofbräu Lager and Oktoberfest, Franziskaner Hefe-Weizen, Schofferhofer and Radeberger Pils. Bratwurst, knockwurst and other German specialties are purchased from Adolf’s Kitchen in Hartford. There will also be schnitzel, potato salad and potato pancakes made on-site the traditional German way. German cakes and pastries are also handmade by ladies in the club. Set to perform music in the big tent is Blechdurscht XXL, flying over from the home country for the event. In the “Bäckerei Kaffeehaus” where coffee and cakes will be sold, Reinhold Wiedemann will perform on the zither. 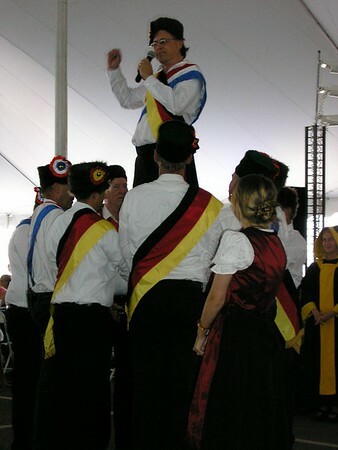 Alpenland Taenzer will also entertain visitors throughout the weekend with Schuhplatter Dancing. All of this conjures up Gemütlichkeit - the word used to convey the feeling of warmth, friendliness, and good cheer. Some years down the road, Herner found himself in charge of running this and other events. “When you start to go every week you find yourself more active in the club and it just happens,” he explained. The club recently celebrated its 160th anniversary with a concert and banquet dinner in Manchester. Attendees were surprised with a special treat, a slide show of photographs from the Sangerbünd’s early days in Hartford. He’s hoping Germans and non-Germans alike will join him at Bierfest. WHEN: Aug. 24 from 4-11 p.m., Aug. 25 from 2-11 p.m.; Aug. 26 from 12-6 p.m.
Posted in Newington Town Crier, Newington News on Wednesday, 8 August 2018 16:35. Updated: Wednesday, 8 August 2018 16:37.